Former Chief Rider of The Spanish Riding School Arthur Kottas with young riders during a dressage clinic at Shannondale Farm in Alpharetta, Georgia. Parents of a young amateur equestrian jumper noted with amusement how their daughter won’t clean her own room, but will spend hours grooming and cleaning the stables of her horse. Riding and caring for horses can teach young people valuable life lessons. So why shouldn’t every young person have the same opportunity to pursue equestrian interests as, say, soccer? It can be an expensive pursuit, but judging by the results, perhaps worth every penny. 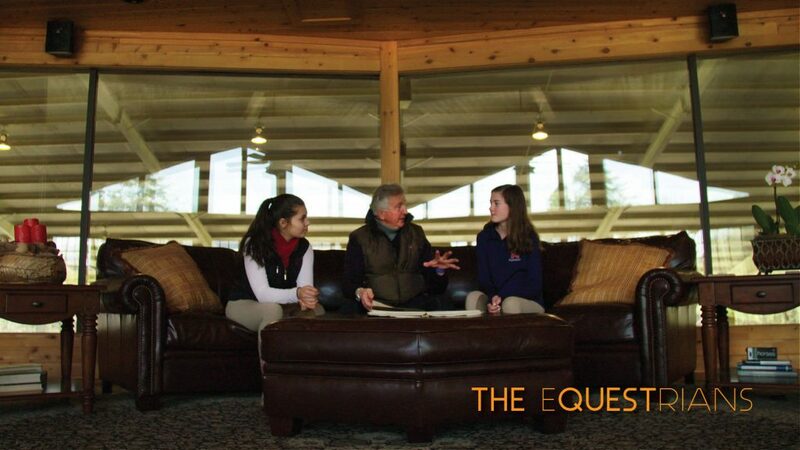 This episode will feature college and universities representing some of the more than 400 schools of the Intercollegiate Horse Show Association, teams from the Interscholastic Equestrian Association, which makes riding accessible nationwide for those in grades 6-12, teams from the National Collegiate Equestrian Association, including the 2016 National Champion Auburn Tigers, and the equestrian program at Kent School in Connecticut, led by three-time Olympian Michael Page. More may be learned in the saddle than in school for The Equestrians.